Here is a list of our sample baby sleep and feeding schedules, for your convenience. We strongly recommend you bookmark this page; both the sample schedules below, and the customized schedules you can generate using our simple custom sleep schedule maker (see next section for details) will grow with your child, and will be useful for a long time to come. Use our schedule maker to get a custom sleep schedule that’s based on your child’s age and usual morning wake-up time! Use this in combination with our sample schedules above to create the perfect schedule for your little one. With an age range that spans 4 months to 3+ years, this schedule maker is one you will want to come back to again and again as your child grows! Click here to get your custom baby sleep schedule. 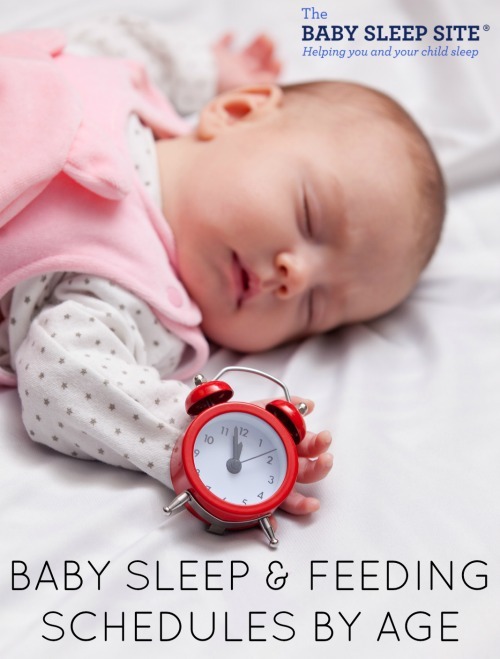 If you are tired of wading through stacks of baby sleep books that just aren’t working, if you are beyond exhausted and just can’t solve your child’s sleep problems on your own…than personalized sleep consulting is for you. Our team of expert consultants will create a Personalized Sleep Plan® just for your family and then support you through every step of implementing your plan. We encourage you to consider our personalized, one-on-one baby and toddler sleep consultation packages if you want to see real, meaningful results now. Your consultation package also includes ample follow-up help, designed to help you troubleshoot problems and tweak your plan as needed. Looking for budget-friendly custom sleep help? Enjoy customized sleep help that works without breaking the bank! Our Express Sleep Plan® is customized to fit your baby’s unique sleep needs and to work with your parenting style and goals, and it’s also priced to work for even the tightest budgets. It’s also available instantly – just complete a brief questionnaire, submit your answers, and your Express Sleep Plan® is ready to download in moments! Grab your Express Sleep Plan® today!